Where are the herds in March? 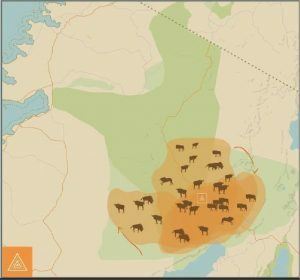 At the beginning of the month, many herds are still in the Ndutu area of the Ngorongoro Conservation Area and the southern Serengeti plains, and though January and February are technically the calving season months, it often continues well into March. Even if calving season is mostly over, the chances are the herds will linger in the nutrient rich grasses of the southern plains. If you are travelling in the beginning two weeks of March, we would therefore suggest basing yourself in a mobile camp in this area, as you would in January and February. 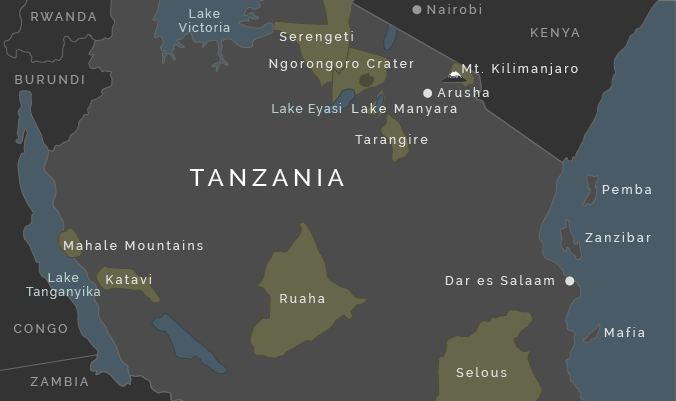 Towards the end of the month, Tanzania’s heavy rains can begin, which means the wildebeest disperse, often covering more ground out to the west towards Maswa Game Reserve, and around the Moru Kjopes (just south of the centre of the park) and on to the western Gol region. 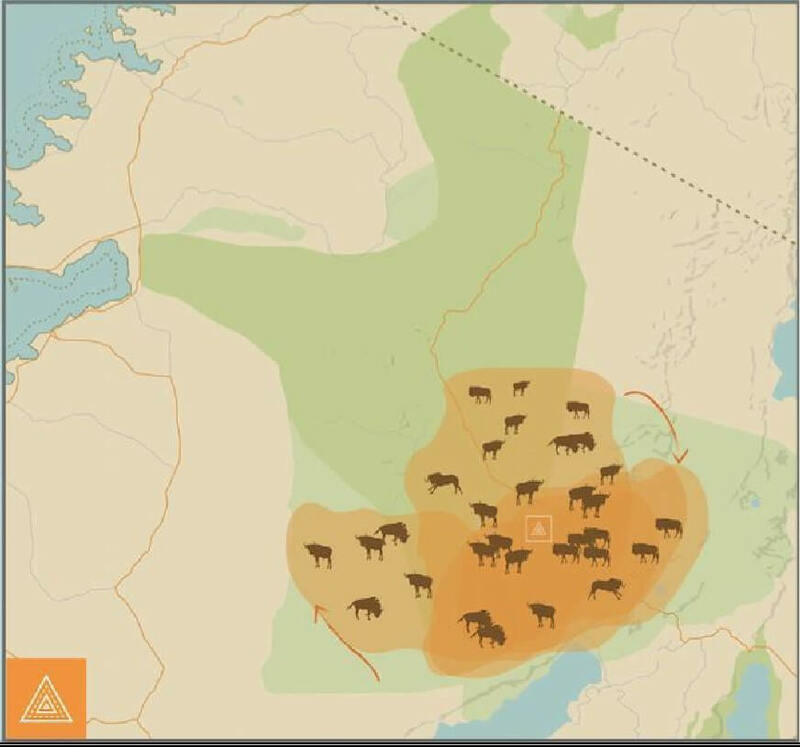 Towards the end of the month, you could look at combining locations; one camp in the Ndutu area and another just south of the Seronera region in either Moru (south, towards the east of centre) or Namiri (south west of centre) for your best chances of catching the herds. If you are looking to see the mega herds, we would therefore suggest visiting at the beginning of the month, rather than the end. Going in March could mean you may get wet as the rains are sometimes early (and sometimes late! 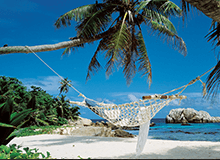 ), but if you don’t mind getting a bit stuck in the mud and aren’t looking for a Zanzibar beach extension, this can all be part of an unforgettable adventure. 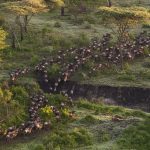 Is March a good time to see the Great Migration? Yes! 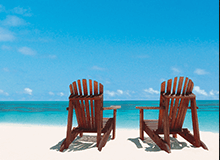 In our view, March is an excellent time to visit for a few reasons. Firstly, you avoid the peak season prices of February, and the chances are, if you are going at the beginning of the month you will get a very similar experience. Going in March also means you avoid the crowds, especially at the end of the month. If you really want a Serengeti safari all to yourself and don’t mind if you potentially get a bit wet, a March safari is for you. If your absolute focus is on seeing the huge Migration herds, you don’t want any rain, and you don’t mind paying a premium then consider February…. Though we are convinced that for a fraction of the cost, and early March safari is definitely worthwhile. So, where should I stay to get the best chance of catching the herds in March? 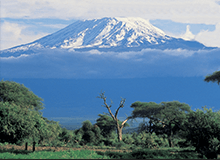 In the first half of the month, stay in the Ndutu region of the Ngorongoro Conservation Area, and the southern Serengeti plains. In the second half of the month, if you have a short time do exactly the same as in the first few weeks. 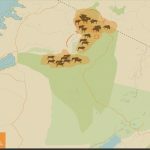 If you have a bit longer though, it may be worth combining a camp in the Ndutu area, with one around the Moru Kjopes, Namiri Plains or Central Serengeti. Both Ndutu and these more central areas have phenomenal resident wildlife. 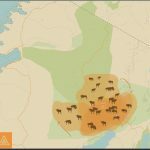 Which mobile camps to stay at for a March Serengeti safari in Ndutu? Chaka ($330 pppn). Very comfortable accommodation and an excellent overall experience in great locations, at an amazing price; you can’t go wrong with Chaka for a basic yet authentic Serengeti Migration safari. 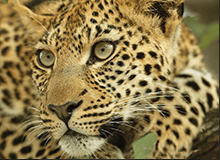 Serengeti Safari Camp ($725 pppn after 15th March, $900 pppn before 15th March). An office favourite. Moving between 3 locations throughout the year and with 2 mobile camps, Nomad Tanzania’s passion of exceptional safaris shines through in everything they do… Safari mad but without compromising on quality one little bit, Serengeti Safari Camp is unbeatable for an authentic Serengeti safari. Ubuntu ($664 pppn) Asilia’s best value mobile camp, Ubuntu is similar in style to Serengeti Safari Camp and in an equally excellent location at this time of year. A fabulous choice for a barefoot luxury tented safari experience. Serengeti Under Canvas ($885 pppn) &beyond’s Serengeti mobile camp, this is a very luxurious tented option and for those who don’t mind splashing out on a premium experience. Olakira ($789 pppn). Asilia’s most luxurious mobile camp, Olakira has a similar feel to Serengeti Safari Camp but aimed at slightly more luxury-loving audience. Whilst SSC is barefoot luxury, Olakira is barefoot luxury with sandals on! Kimondo ($742 pppn). Kimondo is a mobile camp but is uniquely located in the Kusini area of the Serengeti, and is therefore exceptionally well placed for the end of the month especially. Combine this with a mobile camp in Ndutu and you have an excellent chance of catching the migration. Kiota ($325 pppn). As Chaka’s sister camp, this is an exceptional value property. Located in Seronera, with amazing views of the surrounding plains, it is exceptionally well positioned for the excellent central Serengeti resident wildlife. It is very comfortable with lovely staff and a very welcoming atmosphere.